I have to confess that there have been times in the last couple of months when I've cursed my own hubris for taking on this piece of work alongside a tiny baby. Having to stop constantly to feed, change or entertain a baby means that things that would normally take me a day to accomplish have taken weeks... and some days have been spent in a sort of fug of baby and soap, trying not to get bits of soap into the baby or bits of baby into the soap. BUT - the copy is now written and last week I attended a two-day photo shoot where all of the step-by-steps were shot for the projects. Hooray! In other news, I am pleased to introduce Microboy's latest hat! 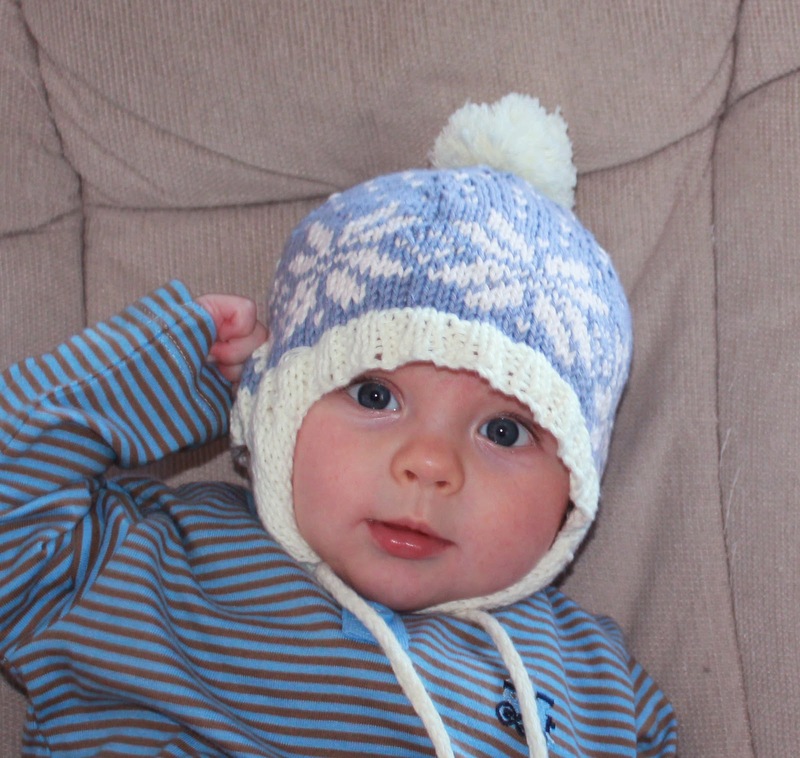 I knitted this months ago, but it is only now that it fits and I am entirely delighted with it. Full details of pattern, yarn and so on are on Ravelry, here.